“The Ron” & Morons (228/365 year 3) – Annoyingly Boring? 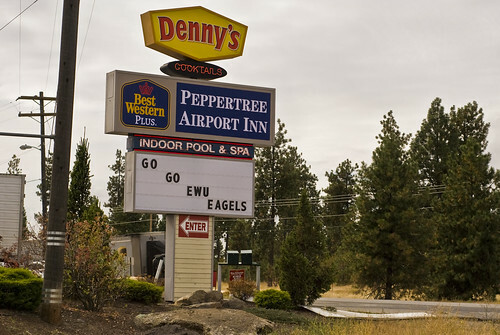 There was a Denny’s across the parking lot from the hotel we were staying at while in Spokane. 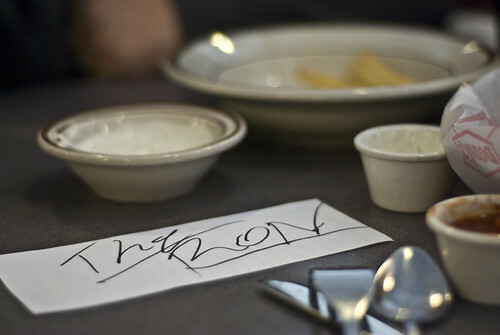 We went over for a snack (I had buffalo chicken taco thingies, my wife had fries with ranch dressing) and when our waiter came to take our order I noticed his name tag read “The Ron”. He was a character and I made a crack about being honored that “The Ron” was serving us and that perhaps we could get an autograph. Sure enough, he signed an order ticket for us. Chills I tell you, chills. wonder how long it took the ron to convince his manager to get a “the ron” name tag made. LOL! What a fantastic story and way to weave these two images together!